Beginning Line Dance Class: Come Learn “Breaking Hearts” | 5-6-7-8 Dancing My Way to a Healthy Me! ← It’s My Anniversary! Here’s the Realization That’s Been Seven Years in the Making. 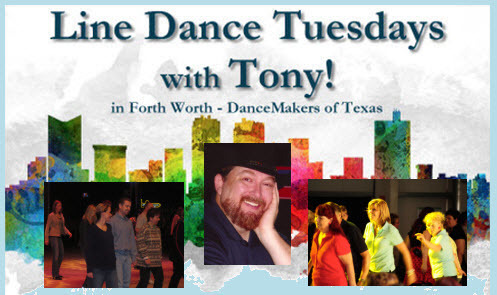 Posted on Tue, Jan 31, 2017, in Dance, Line Dance and tagged copperknob, country line dance, Dallas, dance class, Dance Makers of Texas, DanceMakers, dancemakers of texas, dancing, DFW, DFW Area, Eric Hutchinson, fort worth, Ft. Worth, learn to dance, learn to line dance, line, Line dance, line dance class, Line Dance with Tony, Line Dancing, Line Dancing with Tony New, linedance, Robbie McGowan-Hickie, stepsheet, tell the world, tony new. Bookmark the permalink. Leave a comment.